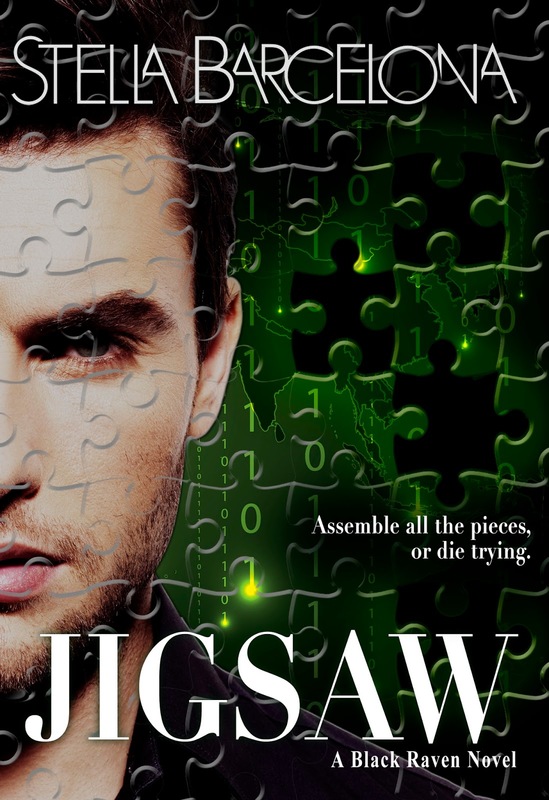 Jigsaw by Stella Barcelona - A Black Raven Novel - Book Blitz & Giveaway - Enter Daily! Hello lovelies! It gives me great pleasure today to host Stella Barcelona and her new book, “Jigsaw!” For other stops on her Goddess Fish Promotions Book Tour, please click on the banner above. Be sure to make it to the end of this post to enter to win a $50 Amazon or Barnes & Noble Gift Card. Also, come back daily to interact with Stella and to increase your chances of winning! He was breathing heavily, as though he’d just stepped off the treadmill. So was she. He’d showered just a couple of hours earlier, when they’d come in from the trial. The scent of fresh soap mixed with his musky male, woodsy scent. His body, already warm from the run, was getting hotter. Desire had her knees and arms trembling, and deep inside her internal muscles pulsed with need. Stella will be awarding a $50 Amazon or B/N GC to a randomly drawn winner via Rafflecopter during the tour. This contest is sponsored by a third party. 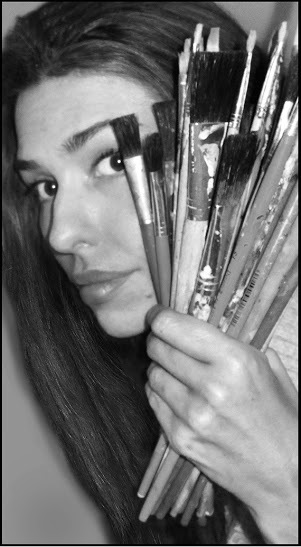 Fabulous and Brunette is a registered host of Goddess Fish Promotions. Prizes are given away by the sponsors and not Fabulous and Brunette. 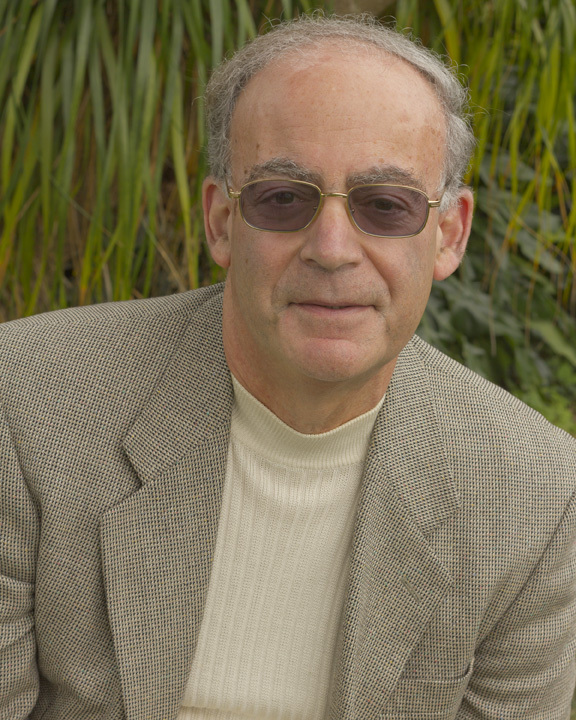 The sponsor is solely responsible for the contest prize. 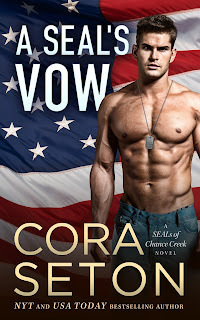 A SEAL's Vow by Cora Seton - Book Tour - Blurb Blitz & Giveaway - Enter Daily! Hey lovelies! 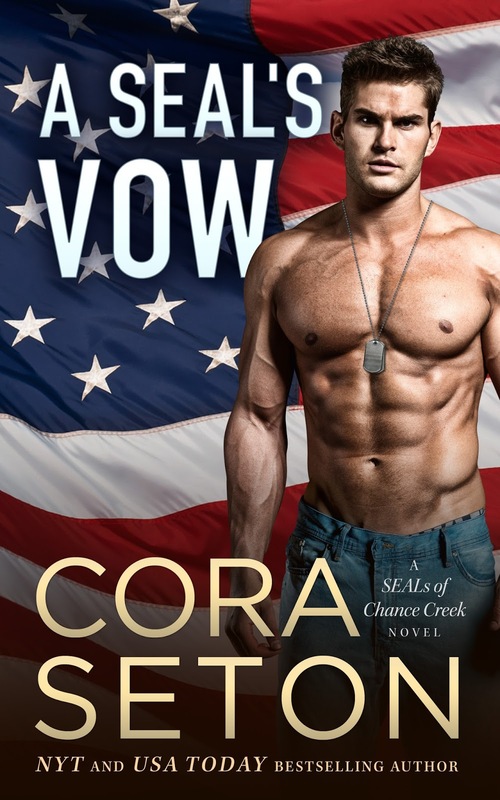 It gives me great pleasure today to host Cora Seton and her new book, “A SEAL’s Vow!” For other stops on her Goddess Fish Promotions Book Tour, please click on the banner above. Be sure to make it to the end of this post to enter to win a $50 Amazon or Barnes & Noble Gift Card. Also, come back daily to interact with Cora and to increase your chances of winning! Reluctantly, Nora stood and crossed the room as directed. She knew there was no getting out of these interviews, but she wasn’t looking forward to them. I’m here to write, she reminded herself. There’s nothing remotely interesting about me. Viewers will get bored of me in about two minutes and then everyone will leave me alone. She felt pretentious posed by the piano, especially since she didn’t play, but Renata seemed happy with the arrangement. When the camera man was satisfied that the light was acceptable, she began. Nora blinked. She opened her mouth, then closed it again. “I… uh…wouldn’t know,” she finally gasped. “I… I’m not—I didn’t… That’s not true!” Nora was appalled. She hadn’t pictured anything like this when she’d agreed to be on the show. It wasn’t that she was naïve—she knew what reality television was like, but she didn’t expect to be attacked for looking at Clay. “I didn’t say that!” Nora felt her cheeks heat. Damn it, she hadn’t meant to say that, either. “I didn’t—” Nora broke off in confusion. “You can’t have it both ways,” Renata retorted. “So which is it?” The smile she flashed at Nora was downright evil. Nora promised herself she’d get her revenge someday. “I guess… I find him attractive,” she admitted through gritted teeth. NYT and USA Today bestselling author Cora Seton loves cowboys, country life, gardening, bike-riding, and lazing around with a good book. 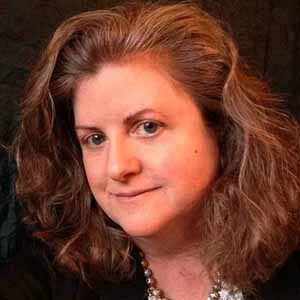 Mother of four, wife to a computer programmer/environmentalist, she ditched her California lifestyle and moved north to laid-back Vancouver Island. Like the characters in her Chance Creek series, Cora enjoys old-fashioned pursuits and modern technology, and is never happier than when planting flowers or creating her next Chance Creek novel. 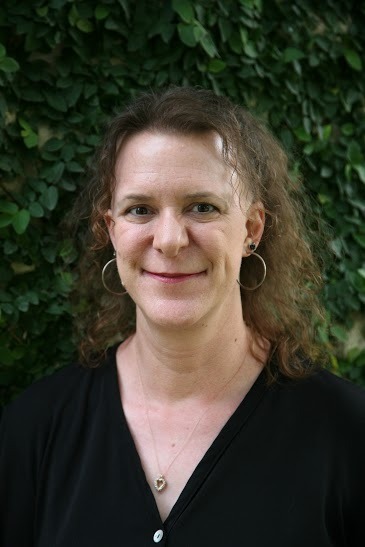 Cora Seton will be awarding a $50 Amazon or Barnes and Noble GC to a randomly drawn winner via Rafflecopter during the tour. 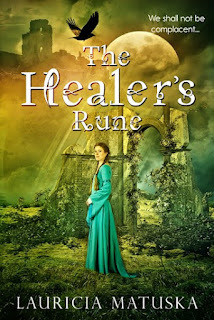 The Healer’s Rune by Lauricia Matuska - Book Blast & Giveaway - Enter Daily! Hi lovelies! 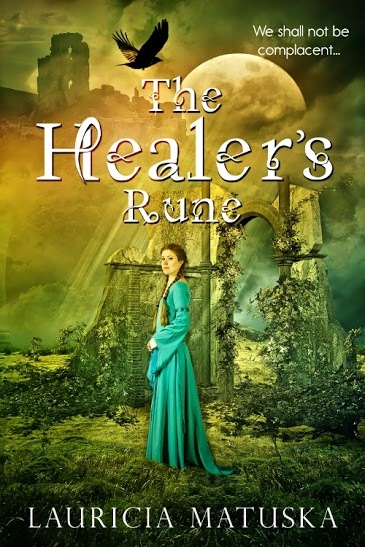 It gives me great pleasure today to host Lauricia Matuska and her new book, “The Healer’s Rune.” For other stops on her Goddess Fish Promotions Book Tour, please click on the banner above. Be sure to make it to the end of this post to enter to win a $20 Amazon or Barnes & Noble Gift Card. 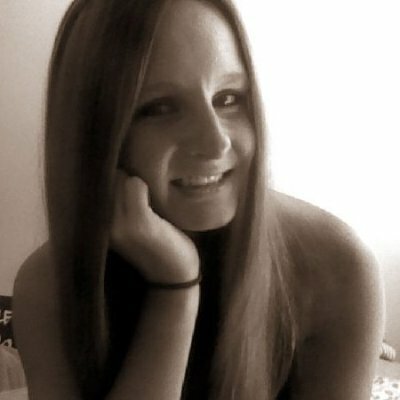 Also, come back daily to interact with Lauricia and to increase your chances of winning! How to Draw Cool Stuff by Catherine V. Holmes - Book Blast & Giveaway - Enter Daily! Hello lovelies! 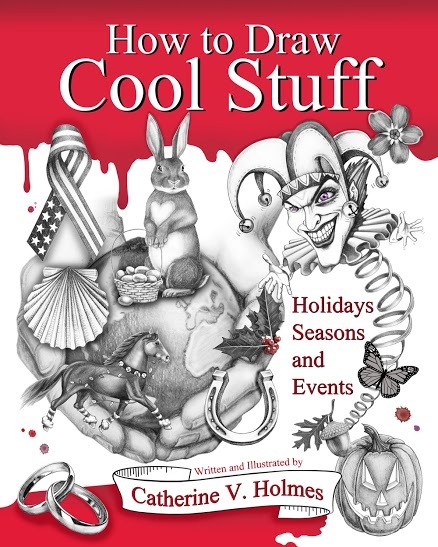 It gives me great pleasure today to host Catherine V. Holmes and her new book, “How to Draw Cool Stuff.” For other stops on her Goddess Fish Promotions Book Tour, please click on the banner above. Be sure to make it to the end of this post to enter to win a $50 Amazon or Barnes & Noble Gift Card. Also, come back daily to interact with Catherine and to increase your chances of winning! 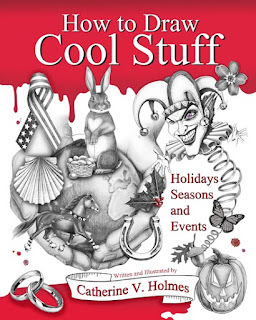 Catherine will be awarding a $50 Amazon or B/N GC to a randomly drawn winner, and a another winner will receive a print copy of How to Draw Cool Stuff (international) both via Rafflecopter during the tour. The Girl Who Could Change Fate by Cassidy Ostergren - Book Tour - Book Blitz & Giveaway - Enter Daily! Hello lovelies! 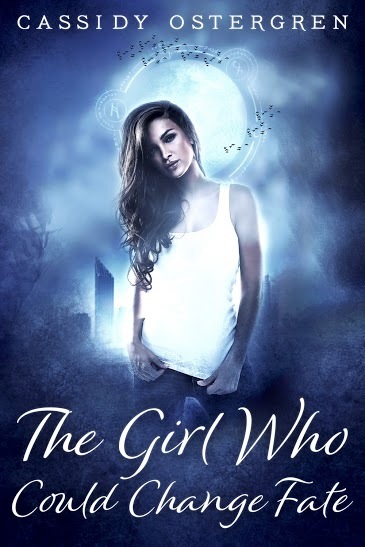 It gives me great pleasure today to host Cassidy Ostergren and her new book, “The Girl Who Could Change Fate.” For other stops on her Goddess Fish Promotions Book Tour, please click on the banner above. Be sure to make it to the end of this post to enter to win a $10 Amazon or Barnes & Noble Gift Card. Also, come back daily to interact with Cassidy and to increase your chances of winning! 79¢ Medium Frozen Classic Lemonade & Limeade - TODAY ONLY! Hey lovelies! Hope you are all having a fabulous day and staying cool out there. Today is the first day in over week that is less than 90+ degrees here! I love summer and warm weather, but I am definitely enjoying a day off from the heat! 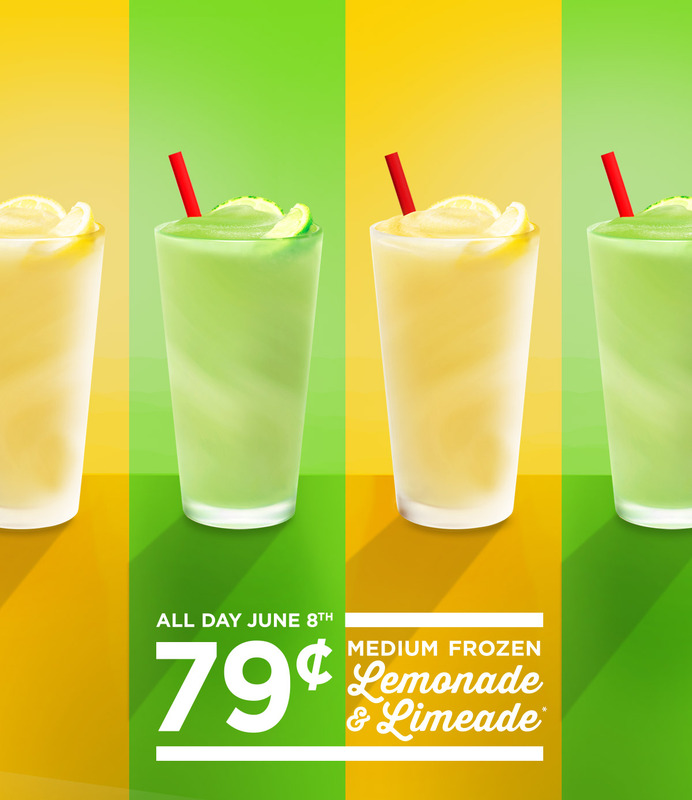 Today only – Sonic is offering a special deal on their Medium Frozen Lemonade and Limeade drinks. Both drinks are at an all-time low price of only $0.79! This offer is valid all day; today only. No coupon or promo code is needed to claim deal. Offer is only valid at participating Sonic locations while supplies last. I absolutely love Sonic drinks! They are so refreshing and delicious! Since I only live a few blocks from Sonic I end up there way too often lol. Lately, I’ve been ordering Diet Grape Limeades as they are the perfect thirst quencher and don’t rack up lots of calories. What is your favorite Sonic drink? * $0.79 Medium Frozen Lemonade & Limeade. Must mention when ordering: Medium Frozen Classic Lemonade and Frozen Classic Limeade only. Tax not included. Add-ins cost extra. Cannot be combined with other offers. Offer valid 6/8/16 at participating SONIC® Drive-Ins while supplies last. 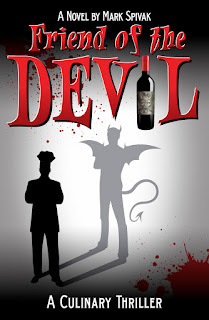 Friend of the Devil by Mark Spivak - Book Tour & Giveaway - Enter Daily! Hi lovelies! 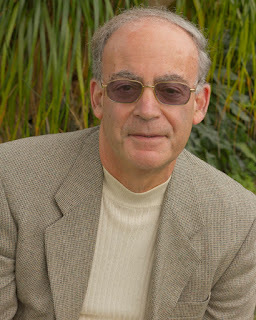 It gives me great pleasure today to host Mark Spivak and his new book, “Friend of the Devil!” For other stops on his Goddess Fish Promotions Book Tour, please click on the banner above. The two young men emerged from the woods onto Highway 49. There were no street lamps, and Joseph was grateful for the moonlight. Slowly and deliberately, they walked toward the intersection of Highway 61. When they got to the Crossroads, the site was unremarkable: a small general store, a gas station, and miles of desolate blackness stretching in every direction. “I’ll be here,” Willy called over his shoulder.